From 1999 till 2001, SAHAJA YOGA MEDITATION programs were held at Rikers Island Correctional Facility in Queens, New York City. There are various testimonial letters which describe the manner in which these programs were conducted and the incredible positive effect of this type meditation on the prisoners. Having conducted these programs for over two years, along with many other New York Sahaja Yogis, I must say that the changes noted in the prisoners were tremendous. I truly believe that if meditation is used as one of the means to rehabilitate and reform those in prisons, there would be a lot less of these unfortunate people coming back to jail. For two years I have seen prisoners sitting peacefully and gently putting their attention inward on their SPIRIT ; and not on the negative aspects of their personalities. In meditation, with their eyes closed and their attention away from the events that put them in prison, the prisoners are allowed to place their attention on what is positive within them. SAHAJA YOGA MEDITATION allows the seeker to go within, face reality of what is within, allows the seeker to see all the goodness within and gives the strength to face what is not good. What is not good or negative is cleansed away by the energy of the KUNDALINI, which cleanses, purifies, and balances the human being. It allows the seeker to see that all the answers are within him or her self. 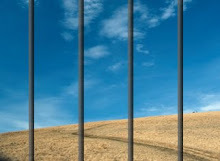 There are many miracle stories that the Sahaja Yogis experienced in the prison and there are just too many to mention. A story involved a man who had committed a double murder. He was awaiting trial, expecting to get the death penalty. He came to the meditation quite a few times and would also bring along his footsoaking bowl. Footsoaking is one of the cleansing techniques used in SAHAJA YOGA . We learned from him that he was able to save the life of a prisoner who tried to commit suicide. He also was amazed that he did not receive the death penalty. He was spared his life and given a sentence that he did not expect at all. He was grateful to God that he could live and prayed that he could help many other prisoners. He was also very grateful for SHRI MATAJI’s teachings and for having given him the opportunity to forgive himself and forgive his past. A young man also came to many of our programs. He was a former member of the “Bloods,” one of the most notorious gangs in the United States. He continued to tell us that he was innocent and we would encourage him to meditate and allow the KUNDALINI to balance and cleanse his charkas. He was incarcerated for over 22 months. We encouraged him to have faith in himself. This very spiritual young man went to trial and in one hour he was found innocent and released! The story of his trial and his verdict was even written reported in ‘The Daily News,” a major newspaper in New York City. Probably the most dramatic story is the transformation of Temba , a prisoner who became then an humanitarian singer of hip-hop, once released. The meditation programs were held for the prisoners, but many times the staff would participate because they would feel the peace and silence emanating from those meditating. The enthusiasm and joy that these prisoners felt during these programs was incredible. We were in this area for 5 months. 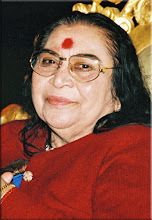 The captain of this area received her self-realization in the presence of SHRI MATAJI. One area we held programs was in the SAID PROGRAM, the prison drug rehabilitation center that held and treated all those indicted with drug violations. Then we held programs in the women’s area and this lasted for two months. These women had violated drug laws. One expectant mother came to our programs several times and received her self-realization and KUNDALINI awakening. She admitted that she had been on drugs all her life and was worried about the child about to be born. When she returned to the program after giving birth, she was ecstatic. She told us that her baby boy, “Baby Richard,” was born without a trace of any drug in him and the doctors were amazed as to how this could happen. The mother also stated that from the baby’s body emanated so many cool vibrations! These are the cool vibrations one experiences when the KUNDALINI is awakened. Then we held programs at the juvenile detention center, where teenagers from the ages of fifteen-sixteen to nineteen years of age. This also lasted for about 2 months. In the first juvenile center program the head of that department allowed a program that included the teenagers and the prison staff together. We also held programs for the staff for about a month with an average of 2-3 staff members attending. Conflicts with their work schedule did not permit to attend as often as they wanted. Before meditation, the prisoners were loud and very nervous. Tension and aggression permeated the halls. After sitting quietly putting their attention inward, they were becoming transformed. They would all become peaceful and relaxed. Inner turmoil was replaced by smiling faces and shining eyes. For me, the most powerful meditations I have experienced were in prison.